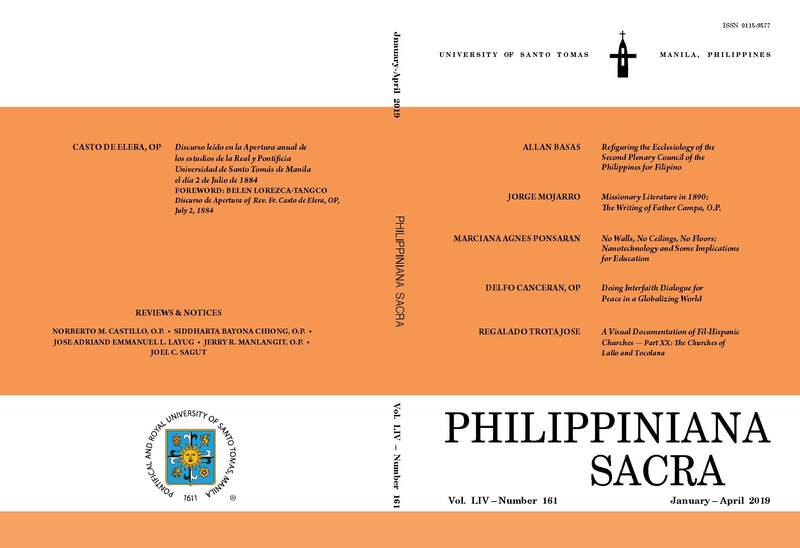 Get the latest issue from Philippiniana Sacra or submit your own article. Missionary Literature in 1890: The Writings of Father Campa, O.P. 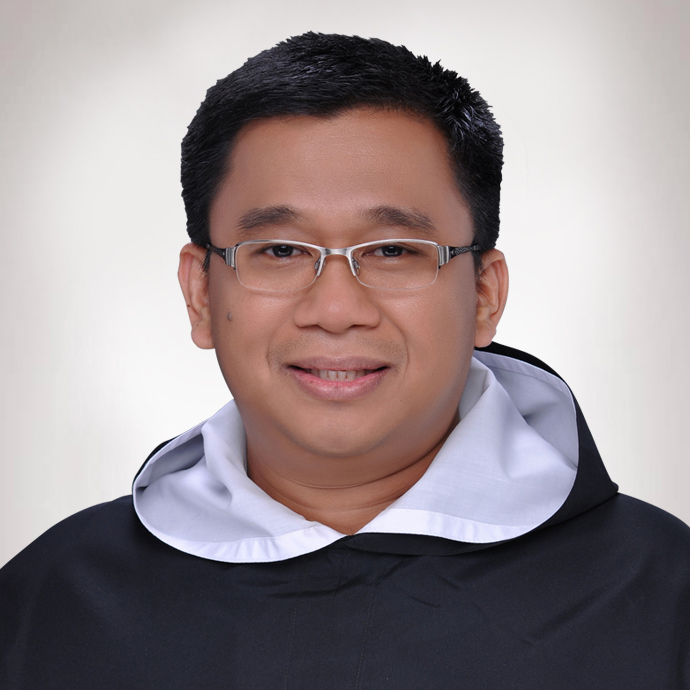 The Second Plenary Counicl of the Philippines (PCP II) expresses one of the hopes and memories of Vatican II, which is to witness the emergence of world Church or the realization of the Church in a given place, time, and people. Guided by the query, “How do we live as Christians…in our situation of lights and shadows?,” the Council determined that the Church in the Philippines should be a Discipleship in Community. To understand the outcome of the Council, it helps to situate it within the broader movement during the 1970s, 1980s, and 1990s, which saw the emergence of contextual theologies. The integration of the total human reality in doing local theology responds to the predicament of Asian theological associations during the said decades which struggled against the so-called “burden of the past” or the “petrified status quo,” referring to the western ecclesiological framework, which was viewed as hindrance in the building up of a truly local church. In light of all these, this paper proposes a refiguration of ecclesiology of PCP II. This article, looks into those experiences of Filipino Catholics where they can encounter the Church that was described by PCP II and proposes in view thereof, that our experience of sociality, e.g., bayanihan and pakikipag-kapwa, provide experiential structures that set in motion our initial experience and understanding of the Church. Want to Read Full Article ? When Spain was on the verge of losing its last colonies, the Dominicans were still carrying out very actively their missionary work in Central and Northern Luzon and trying to preach the Gospel to isolated ethnic groups reluctant to be resettled down in newly formed Christian villages. This paper presents two relatively unknown travel reports written by Father Buenaventura Campa (1852-1916), describing his journeys on foot to territories inhabitated by the Ilongot and Mayoyao people. It then analyzes the missionary strategies performed to convince the natives and the “civilizatory” narrative of the religious orders as well as screens the several strategies carried out by the natives in order to better avoid Spanish intrusion in their lands. Nanotechnology is an enabling technology that is poised to create a huge impact in the various spheres of human concerns such as the geopolitical, business, education, legal, military, environment, health, and medical domains. With its rapid and inevitable development, it becomes imperative not only to deliberate on its ethical and social implications but likewise examine the ontological and epistemological issues and difficulties underlying this fledgling field. This paper will explore the novelty, distinctiveness, interdisciplinarity, and incommensurability issues in nanotechnology. More specifically, it will center on the uniqueness of the field as it delves into the claims regarding dissolution of borders and boundaries in the sciences, risk, complexity, and uncertainty factors and selected foundational issues in nanotechnology. It shall examine how the perceived melting of boundaries, unforeseen horizons, and the lack of a stable foundation in nanotechnology will pose some challenges and opportunities to education and research particularly in science, engineering, and the humanities. This paper tackles the problematic relationship between religion and violence. Religion is ambivalent in relation to peace and violence. Nonetheless, as peace advocates, we need to use the potential resources of religion as a way of advancing peace in a violent world. Interfaith dialogue is a tedious task not only because it needs time and patience in its engagements but also because of the complexities involved in the conversation. Thus, people engaged in interfaith dialogue must be open not only to sharing their experiences and views but also must be prepared to listen to questioning their positions and faiths. Since dialogue implicates a whole worldview, not limited to religion, we need to learn from each other in the process of engagement. In this dialogue, we need to shift from a focus on our commonality to the affirmation of our differences. Philippiniana Sacra welcomes you to its new website. Technology and the internet are tools you cannot ignore at this time if you wish to have wider reach to people around the world. Just as the journal is serious with its mission so is its engagement with researchers and knowledge-seekers in the ecclesiastical disciplines such as philosophy, sacred theology and canon law. The website features its online submission form, and its platform that allows contributors to track the status of their submissions and researchers to search for back issues. The website also posts updates and announcement, and it also provides information about the people behind the journal. Philippiniana Sacra would like to thank Santo Tomas e-Service Providers (STePS) of the University of Santo Tomas, Manila for their valuable assistance. We invite our visitors to have an exciting journey with us in their pursuit of Veritas. After all, as Thomas Aquinas would tell us, our mind is naturally inclined to the truth.